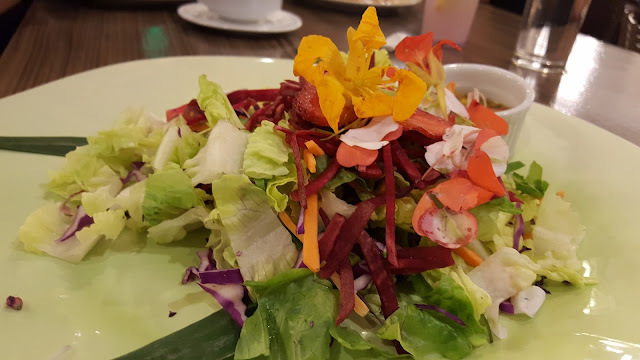 Flowers can be eaten, yes and strawberry can be the sour ingredient of Sinigang. 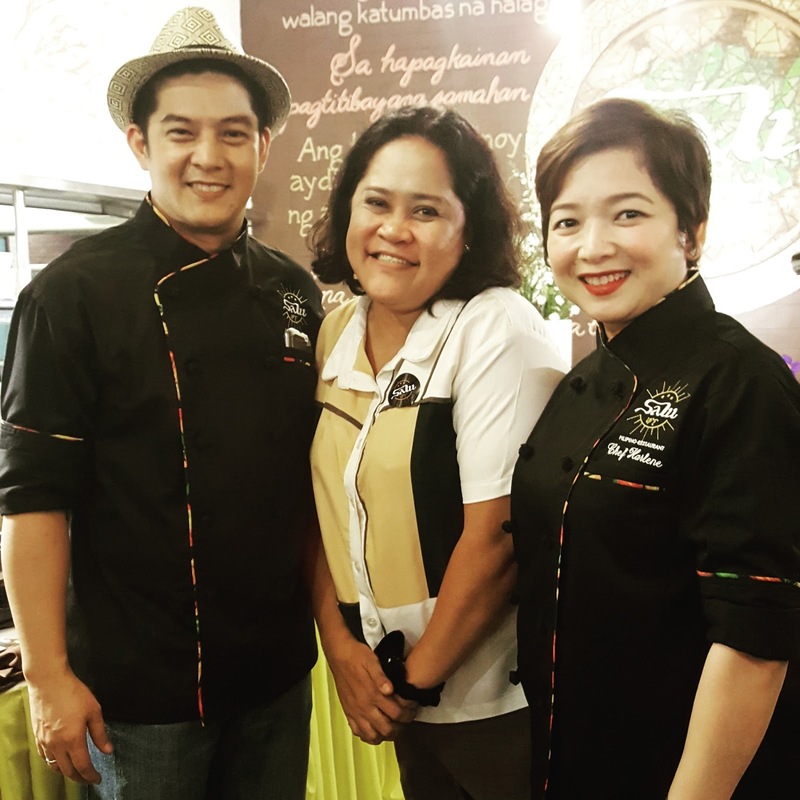 I joined fellow bloggers at the launch of the newest Filipino specialty restaurant - SaluPH at Sct.Torillo corner Sct.Fernandez St. Brgy.Sacred Heart, Quezon City yesterday with celeb owners Harlene Bautista and Romnick Sarmenta. Scouting flavors and ingredients from different regions in the Philippines, celebrity chefs Romnick Sarmenta and Harlene Bautista shared their discoveries of gustatory proportions to the media yesterday while serving some of the best dishes they've concocted to feature the vast treasures of each islands. From the buffet of street foods (fish balls, squid balls, chicken balls, cheese sticks, mangga and singkamas with bagoong), to Adobo Laing, Balbakwa, Sisig Hito, Tiyula Itum, Binagoongan Lechon Kare Kare, Turmeric Rice, Pansit Lukban to their Signature Salu Salad and Salu Fried Chicken, Salu Restaurant boldly expresses enthusiasm to boost the Filipino cuisine to rule as the world's best. During the interview Chef Romnick Sarmenta shared his personal goal to get his own children appreciate the tastes of the regions and slowly drive them away from processed and fast foods. Both celeb owners were proud of the team full of passion to explore the fusion of dishes getting them to try each new dish prepared each day. It's the harmony of varied tastes and the culture of the regions that makes every dish a story worth-sharing making them excited to engage in customers each day at SaluPH. 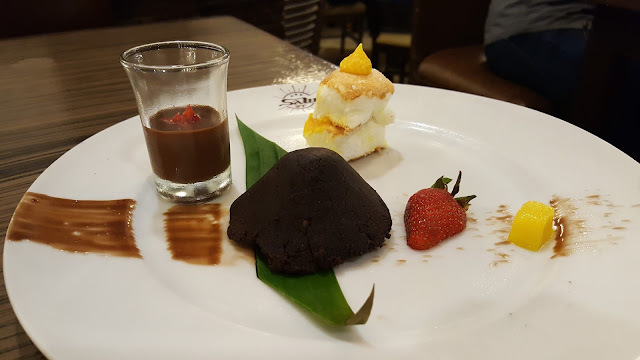 The compliments unexpected from diners each day is the fuel that keep SaluPH thriving to become not just another hole-in-the-wall in Quezon City but a tradition each Filipino family will develop. Finally, SaluPH served for the first time their signature dessert named "Mayon" - a plateful of pumpkin mashed and mixed with coffee and fillings, fresh slice of strawberry, flan, chocolate topped with chili and brazo de mercedes slice to experience a melody of sour, bitter, salty, sweet and spicy to punctuate your meal. It was an unforgettable dinner that excited my palate and heart which at the end made me feel proud as a Filipino. And I don't need to travel by plane to taste the culinary treasures of each region because it's all in SaluPH Restaurant. Thank you SaluPH for making me a KaSalu! I will definitely bring my family to indulge and be proud as a Filipino. For more information please visit https://www.facebook.com/Saluresto/ and call 921-2448 fo reservations.